You probably thought that the benefits of watermelon were confined to relieving a thirst on a hot day. But some recent scientific research has proven that the red juice from a fresh watermelon relieves muscle soreness after exercise better than any other remedy. It is cheap, natural and very effective. The bonus is that watermelon has an outstanding array of other health benefits aside from the obvious one of being an excellent way to quench your thirst. 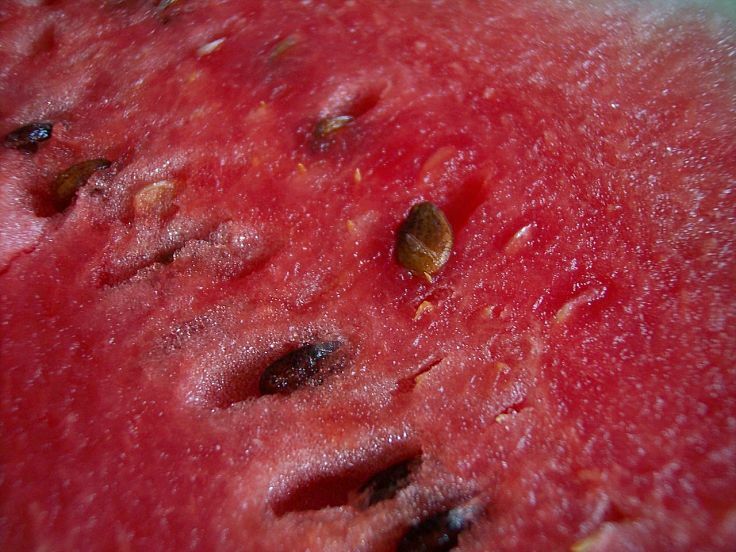 The muscle soreness relief was attributed to watermelon's rich content of the amino acid L-citrulline. Previous research has highlighted the antioxidant properties of watermelon juice. Other studies have suggested that it may also help boost muscle protein and enhance athletic performance in other ways. 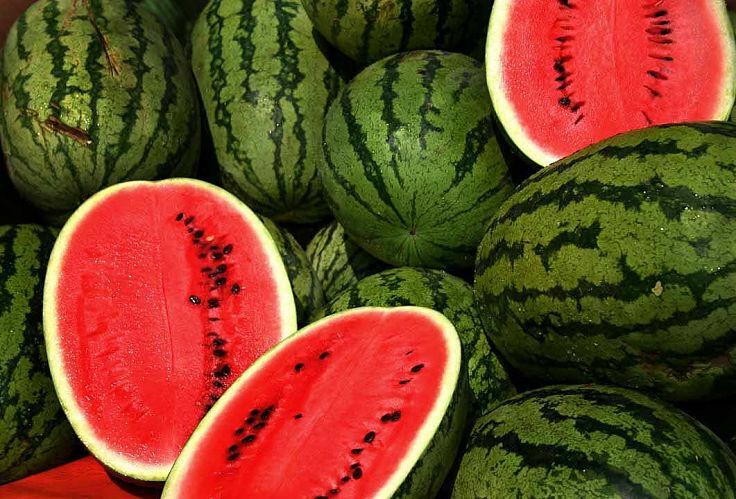 Scientists tested natural watermelon juice, and juice to which extra L-citrulline had been added. 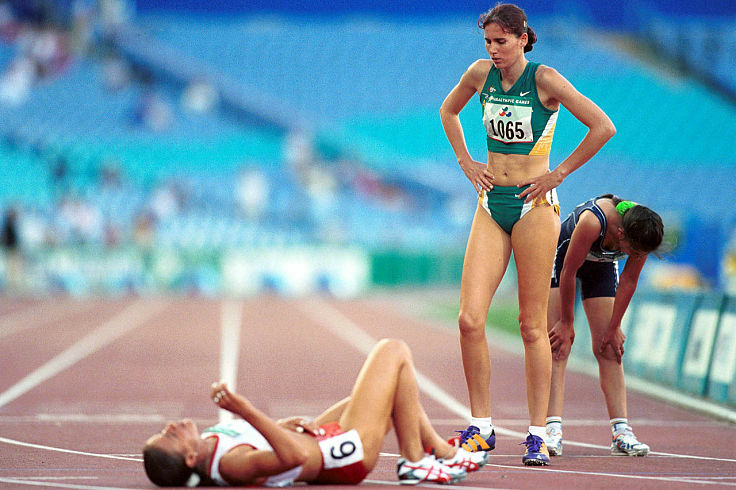 The juice was given to test subjects an hour before exercise to test on the ability of the juices to relieve soreness. A control group was given a drink that looked like watermelon juice but contained no L-citrulline. 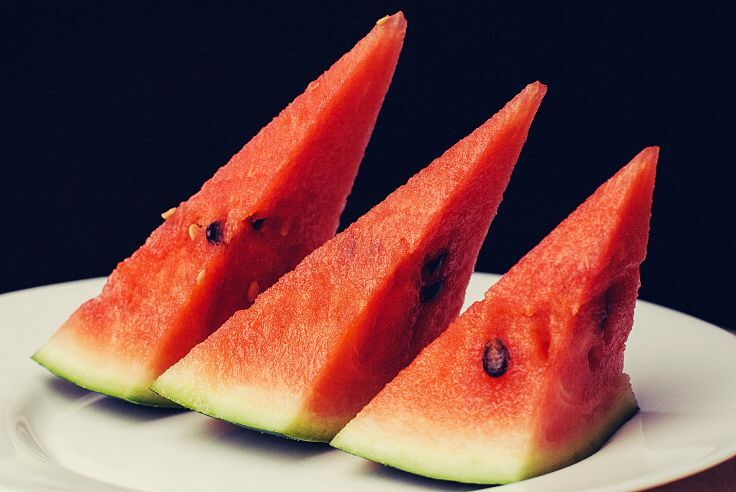 Tests showed that both the natural watermelon juice and the juice enriched with extra L-citrulline relieved muscle soreness better in the volunteers than the placebo drink. Interestingly the natural fresh watermelon juiced that had not been pasteurized worked better than expected. 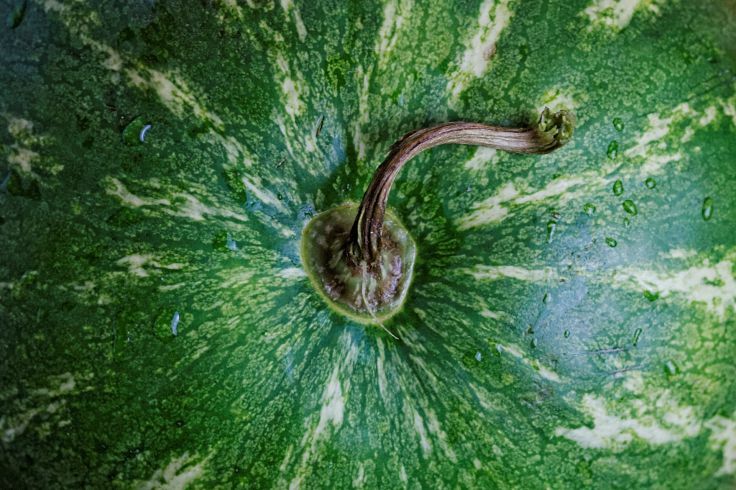 The researchers suggested that the active ingredients in natural watermelon may be more available biologically and occur in a form that enhances its effect on muscle soreness. See the table below for a summary of the nutrients in watermelon. Rich source Vitamin-A, with 569 mg in 100 g fresh fruit (20% of recommended daily allowance). Vitamin A is essential for vision and a healthy immune system. Vitamin-A is vital for maintaining healthy skin, gums and mucus membranes. Rich source of many essentail anti-oxidants including beta-carotene, zeaxanthin, lutein, cryptoxanthin and various carotenoid pigments. These compounds have the ability to help protect cells and other structures in the body from oxygen-free radicals. This has general benefits in reducing the risks of cancer and disease. Watermelon has more lycopene than an equivalent weight of raw red tomato. Watermelon is an excellent source of the carotenoid pigment, lycopene. Watermelon contains more lycopene than raw red tomato. A serving of 100 g of fresh watermelon has 4532 micrograms of lycopene, compared with only 2573 micrograms in tomatoes. Watermelon is a good source of B-group vitamins such as: folate, vitamin-B6 (pyridoxine), thiamin (vitamin B-1). Watermelon is a delicious way to quench your thirst and relieve muscle soreness as well. Guess who consumed watermelon juice before the race?